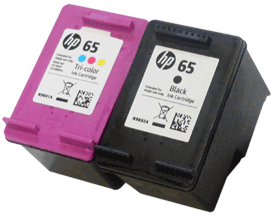 Remove temporary protective storage clip and insert HP 65, 65XL ink cartridges into your printer. 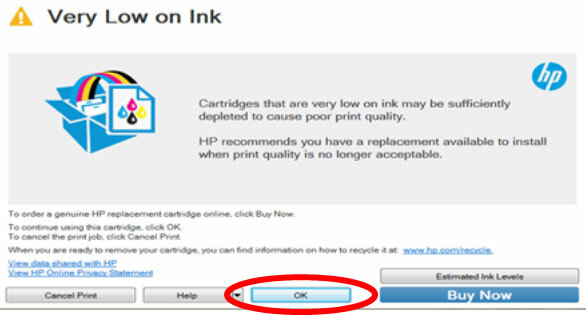 NOTE: “Empty” and “Low Ink” alerts are COMPLETELY NORMAL for all HP 65 and HP 65XL ink cartridges which have been refilled! While at first this may be an unusual workflow, it does allow print operations to proceed after you press the Resume button. 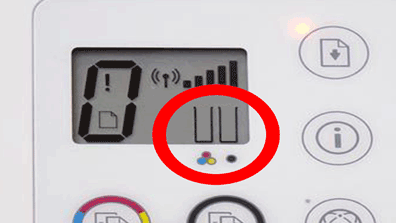 If the printer still fails to print try pressing the Resume button once again. If this is successful, continue to print until the print quality fades.